Bife a la pobre ("poor man's steak") at La Cocina restaurant, El Calafate, Argentina. 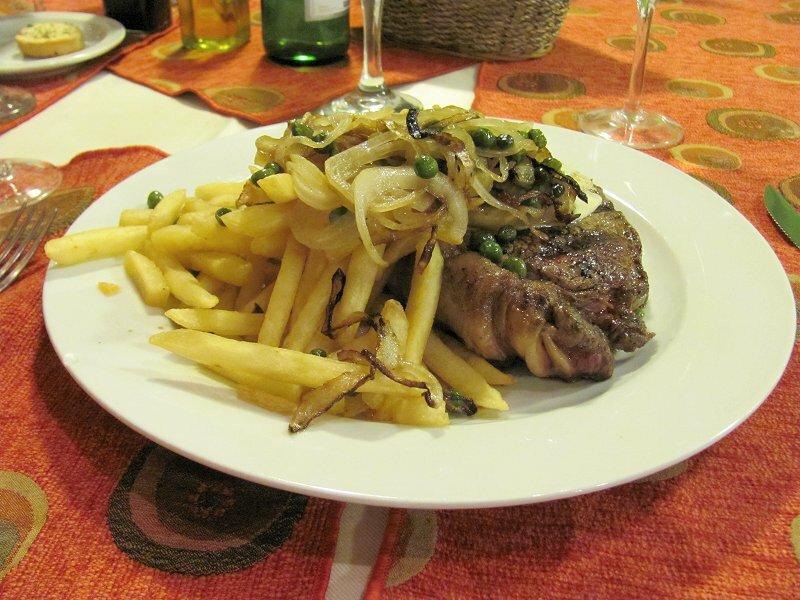 Huge rump steak cover with grilled onions, peas and a fried egg with a serving of french fries, washed down with good malbec from Patagonia (not Mendoza)! Buen provecho!